Many adults ride scooters. They are great for commuting. Avoid the traffic, travel through the park on the way to work, cut down on petrol and other travel costs, keep fit and do your bit for the environment too. Many scooters will fold on public transport. They are also good for the school run and when you want to get out with your kids. Use them to scoot along with them at the park and be able to keep up. But what should you look for when buying a scooter for an adult? Read on to find out as well as ten suggestions of great adult scooters. ✔️ Weight Limit - To ensure that the scooter is suitable for adult use, check the weight limit. Many scooters have a weight limit of 100kg (15.7 stone) or 120kg (18.8 stone). The JD Bug Street 200 series scooter is a good all rounder. It's on the lighter side and features a superior folding mechanism while sporting 200mm wheels that will give you a quick and smooth ride so perfect for commuting. Design - ergonomically designed to help prevent unnecessary curvature of the spine, the scooter has a low footplate and a perfect height adjustable handlebar to ensure each ride is a comfortable one. Height Adjustable Handlebar - the handlebar adjusts from 74cm to a maximum height of 106cm so it's one that can be used by children and adults. Wheels - the 200mm 85a wheels with speed hubs and ABEC 9 rated bearings give a very smooth, speedy and comfortable ride. Deck - the aluminium footplate measures 50cm by 10cm so has plenty of space to accommodate the larger foot size. Foldable - Superior folding mechanism that folds quickly and easily with a single lever perfect for hopping on or off public transport. Folded dimensions - 76cm (L) x 12cm (W) x 25cm (H). The measurements are ideal for working out if it will fit under your desk. Verdict - this scooter is a perfect for the school run but also awesome for the commute. It can be quickly folded and is lighter than similar models so easier to carry when needed. ✔️ Wheel Size - Standard scooters have a wheel size of around 98mm which is fine. However if you want the scooter for commuting or for going longer distances its best to look for a scooter with a bigger wheel. The larger the wheel the faster you will go and the less kicking you will need. So you will conserve energy and finish your journey quicker. So for commuting you can look at scooters from wheels ranging from 120mm to 230mm. The further you have to commute, the bigger wheels you should consider. The width of the wheels is also worth considering. The wider the wheel base the more stability the scooter offers at faster speeds. Look for wheel bases around 65 to 72cm (25.5 to 28.5 inches). Wheels: the 87a PU wheels on this scooter are large at 205mm which makes is a good scooter for going longer distances. Height adustable -it's handlebar can be height adjusted between 79 and 104cm which makes it easy to get it the perfect height. Weight of scooter - it weighs 4.7kg. Not the lightest option but far from the heaviest. This weight should be fine for most people to fold and carry for a short while. Foldable - the handlebar folds down. Brake - provides a rear friction brake. Max rider weight - 100kg. Verdict - good value for money if you are buying on a budget and will be using it for light to medium use. The big wheels means that it's a great choice for commuting. ✔️ Cheaper vs Expensive Scooters - Sometimes a scooter looks really good on paper with all the features you could want but the price is low so it seems too good to be true. If you are buying a scooter on the lower price end, it may be that parts like the brakes wear out more quickly. It is worth reading several reviews to get a feel for whether the scooter will last. Of course it will also depend on how heavy the usage of the scooter is. A cheaper scooter will be fine for the odd outing but if you are commuting everyday it may be worth spending more to ensure your scooter will last. Reading reviews is a good way to get a feel if the scooter is for you. If you are considering going longer distances on your scooter and / or over bumpier terrain you may want to consider a scooter with pnuematic tyres like the Hudora city scooter featured. Wheels - 205mm wheels with pnuematic tyres. The tyres will offer a smooth comfortable ride. They are still best on flat surfaces but will go over and bumps, gravel, twigs etc on the path without you feeling the vibrations. ​Scooter weight - the scooter weighs 5.6kg so it's not the lightest to carry onto public transport which may be worth bearing in mind. Height adjustable - the handlebar is height adjustable from from 85 to 105cm. Brakes - The scooter features a big wheel air 205 dual brake. Verdict - if ride comfort is your priority and you may be going over bumpier paths, than a scooter with pneumatic tyres is worth considering. This scooter may need a little extra push when getting going but the air filled tyres offer the same ride comfort as a bicycle. ✔️ Wheel durometer - If the scooter has PU wheels ou may also see a measurement which tells you the wheel durometer. This normally varies from around 75A to around 88A. The lower the measurement the softer the wheel. A softer wheel will give more comfort when riding but it will wear out more quickly. Micro scooters are well know for their excellent build and enginnering and the micro flex deluxe adult scooter is no exception. Wheels- the 200mm wheels on this scooter are the biggest that Micro do meaning you can get around faster with less effort. Deck - the deck is the unique selling point on this scooter. The name of the scooter (flex) comes from the ultra flexible deck which acts like a shock absorber, softening bumps along your ride ensuring that it's comfortable and smooth. It's therefore a good scooter for riding over bumpy and uneven ground. Built to last - what's really good about all micro scooters is that they are designed so that key parts of the scooter can be repaired and replaced. This means the scooter can have a long lasting life and stay out of the landfill. If you are planning to use a scooter a lot, this may save you money in the long run as you can just replace parts instead of the whole scooter. Height adjustable handlebar - The handlebar adjusts from 73-103cm. Footplate size - measures 41cm by 12.7cm (quite wide for larger feet). ✔️ Handlebars - The handlebar should reach your waist for maximum comfort and efficiency. You can get adjustable handlebars so you can set the right height. An electric scooter is another option to consider. The E300 is designed for teens and for adults. Speed - the maximum speed on this scooter is 15mph. It doesn't have a variable speed. The max speed may be effected by factors such as how heavy the rider is and if they are going uphill. Run time - up to 40 minutes of continuous use per charge. Wheels - it features pneumatic tyres on the rear and front wheels. Please note that technically, these aren't allowed to be driven on the pavement or public paths. So it may be one to use with the kids when on private land. Verdict - a fun scooter which is designed so that adults and teens can have a go. ​✔️ Urethane wheels vs pneumatic (air-filled) tyres - You will see urethane or polyurethane (PU) wheels on many commuter scooters. Generally these type of wheels are fine on adult kick scooters as long as you don't intend to or go over bumpy uneven paths or off road or you want some extra grip on your ride. The great thing about urethane/polyurethane wheels is that they are puncture proof. However, maybe you want to use your scooter to go over bumpier, rugged terrain or perhaps cobbles. Or you may want a wheel that absorbs the shocks and bumps from the road. In these cases, you may want to consider pneumatic tyres. Pneumatic tyres will also offer more grip on surfaces when it might get slippy due to the rain or frost. The main advantage of pneumatic tyres is that they offer a smooth, comfortable ride even over uneven terrain such as bumps, twigs and lumps in the path much like a bicycle does. Pneumatic tyres will also wear down less quickly. The disadvantage is they add some weight to the scooter making it heavier to carry if you need to. Air filled tyres will also require more maintenance (punctures etc) and they tend to be more expensive. Which ones to get really very much depends on the rider and the surfaces it's used on. The Razor A5 has been around for many years and has good reviews, so it's stood the test of time. Razor is a well known scooter brand and the scooter has all the features many adults want, big wheels, lightweight, easy to fold and low deck at an affordable price. Max rider weight - 90kg or 14.1 stone. Handlebar - Easily adjustable handlebars include soft foam grips for enhanced comfort. Foldable - Like most other scooters, it folds easily with its patented folding system. Verdict - if you're looking for an affordable scooter from a well known brand the Razor A5 Lux is a good choice. Due to the 90k weight limit, there are better choices for taller and heavier riders. It may also be worth consdering the Razor A6 (featured below) as for a little bit more your budget you can get bigger wheels and an increased max rider weight. However the A6 is heavier to carry. ✔️ Height of Scooter Deck - a deck which is low to the ground is more comfortable to ride. The greater distance there is between the deck and the floor the more your legs have to bend when riding a scooter to push it along. So a low deck means you have to bend you legs less. The Razor A5 commuter scooter is believe it or not a great choice built specifically for everyday commuting specifically for urban terrain. The air filled tyres give a comfortable ride over uneven terrain and will give more grip over wet and slippy surfaces. . Wheels - as you would expect with a commuter scooter, the wheels measure 200mm. This will mean greater distances will be covered with less kicks and effort. The scooter has air filled tyres to add comfort to the ride. Height adjustable - The handlebar is height adjustable handlebar. Scooter weight - 5.6kg, so on the heavier side which is to be expected due to the extra weight of the tyres. Verdict - a good option of commuter scooter if you are looking for a comfortable ride over more uneven terrain. ✔️ Budget - Consider how you will use the scooter when deciding how much to spend. If you're travelling shorter distances so your budget needn't be as big for those short trips out with the kids or to the shops. You will probably want a bigger budget if you're going to be using the scooter for commuting. The Razor A6 scooter is a particularly good choice for commuting as it has huge wheels (the biggest of all scooters on this page) so will take you further more quickly. It has an extra high handlebar which also means it's a good pick for taller riders. The weight limit is 100kg about 15.7 stone. Handlebar height - the adjustable handlebar can adjust to as high as 106.7cm which is the highest of all the scooters featured. Wheels - the scooter has 254mm (10 inch) urethane wheels. A huge plus of this scooter is that the extra big wheels travel further and faster more effortlessly and offer a smooth comfortable ride. Footplate - the length of the footplate is 34cm. Weight - The maximum rider weight is 100kg and the weight of the scooter is 5kg. It isn't the lightest of scooters so it's probably not one you want to have to carry for long distances on a commute. Anti-rattle folding mechanism - the folding mechanism doesn't rattle which adds to a more comfortable and enjoyable ride. Kickstand - there is a useful kickstand which is great for storage. Rear fender brake - the scooter features a rear fender brake for easy stopping power. Verdict - this scooter has huge wheels which will get your further faster. They wheels aren't pneumatic so are best suited to smooth surfaces such as pavements. The high handlebar and long footplate make this a good choice for taller adults and teens. ✔️ Suspension - Some scooters have suspension which is a spring like mechanism attached to the front and / or back of the scooter. The advantage of suspension is that it offers a really comfortable ride as it absorbs the shock from the bumps and cracks along the pavement and roads. The disadvantage is that it can add extra weight and cost to the scooter. Should I get a scooter with suspension? If the roads you are likely to be riding the scooter on are generally smooth, suspension is a nice to have but not a must. Bumpy roads may feel more comfortable to ride on if your scooter does have suspension. The Hudora big wheel scooter has a large 230mm front wheel which will take you further more quickly. With it's big wheels, shoulder strap, reflectors on the the handlebar and deck and folding mechanism, it's an option to consider for the commute. Wheels - the scooter features PU casted wheels which measure 230mm at the front and 205mm at the rear. It's powered from the front to go quickly. Handlebar - the handlebar can be adjusted from 88 to 106.5 cm so it's great for adults of all sizes including the taller rider. Brake - the scooter features a rear fiction brake. Weight of scooter - is 5.2kg. The scooter has an adjustable shoulder strap and is foldable which makes it easy to carry when you need to. However, it isn't the lightest of scooters so it's not one you would want to carry for a long while. Scooter dimensions - the scooter's length is 97cm and width is 44cm which will give you an idea of how much space is needed to store it. Verdict - this is a good option to consider if you want to use the scooter for a short commute. The large wheels can pick up some speed. It can be easily folded and carried with the shoulder strap. There is also a kickstand to keep it upright when storing as well. ✔️ Bearings - You may see ABEC rating on scooter descriptions. Generally you will see ABEC 5 or ABEC 7 bearings. In theory the higher the number, the better the bearing. ABEC 7 bearings should have more precision and a lower rolling resistance/friction than ABEC 5 bearings meaning a faster, smoother wheel roll. However, in practice there can be a big difference between the performance of two bearings that both have the same ABEC rating, so much so that some high quality ABEC 5 bearings have a better spin performance than ABEC 7 bearings. Therefore it doesn't always pay to look at the ABEC bearings rating alone. Generally, higher priced and branded scooters often have the best quality bearings. The iScoot is a good budget option of scooter with large 200mm wheels for a quick scoot. One massive plus point with the scooter is the 30 day money back guarantee so you can try it out and return in 30 days if you're not happy. Wheels - it has 200mm x 24mm PU wheels which features a nylon core. Maximum rider weight - is 100kg or 15.7 stone. Dual front and rear suspensions - which really add to a comfortable ride even on bumpier paths. Footplate - the footplate is sized between 46.5cm x 13.5cm. Adjustable handlebar - the handlebar can be adjusted to 3 different heights 89cm, 97cm and 105cm. Foldable - the scooter features a one button easy folding system. Additional features include a mud/ rain guard to keep the dirt and water off your trousers. Verdict - this scooter offers a comfortable ride due to it's suspension. A good option to consider if you are on a budget. ✔️ Weight of Scooter - Another factor which may be important when choosing the best scooter for you is the weight of the scooter. For example, a lightweight scooter is easier to lift and carry on public transport. If a lightweight scooter is important to you it may be important to compromise on some of the features that add weight to a scooter. For example, the bigger the wheel the more weight it will add to the scooter although it will go quicker. Adjustable handlebars and folding mechanism can also add weight to the scooter. It may be worth compromising on some of the features or spending a bit more money to get a lighter scooter if this is an important feature. Wheels - It's 87a 145mm PU wheels are larger than average size and add the comfort of the ride. Yet they are not so big that they add too much to the weight of the scooter. 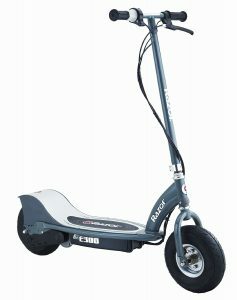 If you are looking for a scooter to do longer commutes, this is not the best option (go for one with larger wheels to get you further faster). For short distances this is great. Weight of scooter - it weighs 4.23kg. This is lightweight for an adult scooter so it should be easy just to put away in the cupboard when finished. Foldable - the scooter is foldable, making it easy to store and transport when needed. Deck size - it has a deck length of 33cm by 13cm. Verdict - this is a the lightest adults scooter featured, so easier to carry when needed. It's a good option for short journeys and for getting out and about with the kids. For longer distances, go for a scooter with a bigger wheel. ✔️ Deck size - The deck or footplate size on scooters vary considerably. If you have a larger foot, it is best to get a longer and wider deck size for obvious reasons. Larger deck sizes can also be more comfortable because you can change foot position or move your weight around more easily when scooting. A longer deck also generally means a longer wheel base. A longer wheel base has many advantages including a more stable, efficient, less bumpy and comfortable ride. A longer wheel base will also roll in a straight line more efficiently making it a good choice for longer commutes. The disadvantage of a larger deck size is that it adds weight to the scooter making it heavier. It will also need a bit more leg power to start it up and slow it down. The smaller the deck, the less weight it adds to the scooter so it will be lighter to carry. So the best advice is to go for the deck size appropriate to your foot size. If a luxurious, smooth and comfortable ride is a top priority, the micro suspension scooter will give you just that. The built in suspension irons out bumps along the way. Wheels - 200mm wheels will provide the rider with a quick, speedy ride. Suspension - the suspension is provided front and back; vertically from the front wheel and horizontally from the rear wheel, below the deck. This means scooting becomes altogether smoother and more comfortable, whatever surfaces you may encounter en route. Having said this, it won't make rough ground easier to scoot over, it will just absorb the shocks from the paths along the way so you don't feel them. Weight 0f Scooter - at 6.4kg this scooter is significantly heavier than other scooters. This is pay off for the suspension so it may be a black mark if you have to carry this scooter for long distances (although it should still be fine for lifting on and off public transport). If it's just to get from a to b, the smoothness of the ride will be worth the extra weight. Foldable - the scooter is super efficient to fold. One quick release lever and a button to make the handle bar drop down. The folded dimensions are 80 x 40 x 31. Handlebar height - adjusts from 84cm to 106cm so accommodates adult riders of all sizes. Other features - a kickstand and soft handle grips to help filter out any vibration offer excellent finishing touches to this scooter. Verdict - this is a top of the range scooter which offers a lovely smooth ride that few other scooters can rival. The price tag is on the steep side but like all other micro scooters, each key part on this scooter is easily fixable or replaceable meaning it could last for years and years to come. ✔️ Build quality - Scooters may have excellent features on paper, but this does not always translate as good build quality. Branded scooters such as Micro have a reputation of being well designed, well made and having precision engineering so although branded scooters tend to more expensive, their build quality is generally better. Lower quality scooters can have problems which may include rattling parts, parts becoming loose, paint chipping off and scooters breaking more easily. Often lower quality scooters don't have parts which are easily replaceable which means that they can be difficult to repair so a new scooter purchase is inevitable. Spending less on a scooter is generally okay for occasional use but if you are looking to use the scooter heavily it may be worth spending a bit more to ensure a higher build quality. Reading reviews is always a great way to determine any potential problems with a scooter. The Weskate adult scooter provides dual suspension for riders who don't want to blow the budget. Height Adjustable Handlebar - there are 3 height adjustments from at 90cm, 95cm and 100cm. It will suit adults and children with a height range from around 120cm to 185cm in height (4 to 6 foot). Foldable - it's easy to fold and the folded dimensions mesure 84cm(l), 38cm (w) and 25cm (h). Suspension - the front & rear shock-absorbing system reduce vibration and make a smoother ride. Weight - it weighs 6.12kg. It's heavier than most adult scooters due to the extra weight from the suspension. Not great if you have to lug it a long way but fine for most people to carry on and off public transport. Weight Limit - there is a weight limit of 100kg. Wheels - the scooter has 205mm PU wheels for a smooth and quick ride. Deck- the deck is fairly long and wide measuring 46.5cm by 13.5cm. Additional features - a carry strap is a useful addition to help carry it when needed. Verdict - if you're on a tight budget but ant the advantages of having a scooter with suspension, this could be the scooter for you. ✔️ Mudguards - Another quality feature that you will find on my scooters (especially commuter scooters) are mudguards. Mudguards fit over the scooter wheels and help prevent splashes and mud from the wheels ending up on your leg or trousers. Kick to Fold System - this makes folding a breeze. Simply kick the folding block and the downtown folds instantly. It mkaes folding the scooter up for public transport super quick and easy. Hand and foot brake - the handlebar mounted brake works just as a brake would on a bike, so is much more intuitive to use for many adults. There is also a rear foot brake if you prefer too. Wheels - the 200mm wheels ensure a super smooth and quick ride. Handlebars - the handlebars are ultra wide giving riders extra stablility. They are also adjustable from 82cm to 102cm. Scooter Weight - the scooter is on the heavier side at 6kg. Deck Size - the deck measure 35cm by 14 cm. Micro - Swiss designed and engineered scooters are renowned for their durability. Expertly crafted to be long lasting and robust every single Micro scooter undergoes a gauntlet of tests to ensure it can withstand the pressure a child or adult can throw at it. Razor - Razor is a well known brand and US company which have been making kick scooter since 2000. According to their website Razor is the number 1 brand in wheeled action sports in the UK and globally. Hudora - HUDORA is a German manufacturer for many outdoor activities and specialises in scooters and scooter spare parts. JD Bug - JD bug is a German company that has been a popular brand of scooter in the UK for many years.